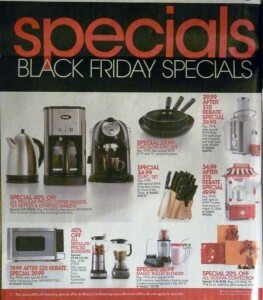 Continuing with our week-long posting of great Black Friday deals, we are now posting another popular one! 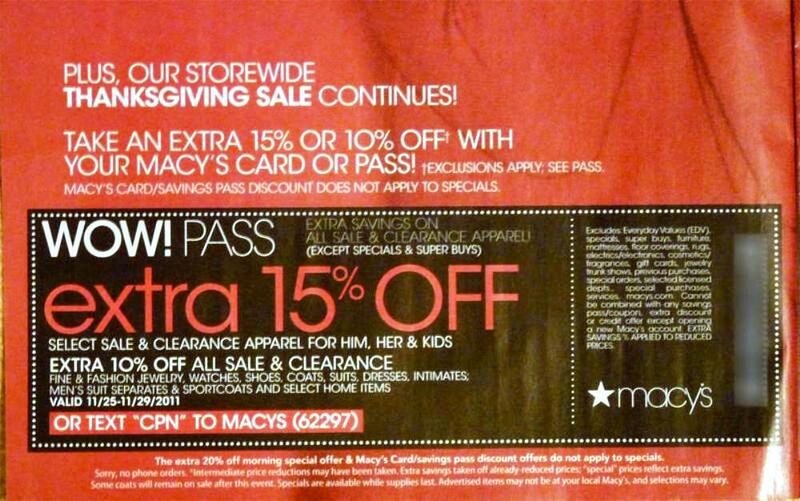 Macy’s is another one of the big retailers that have managed to established a strong presence during this annual shopping “holiday”. 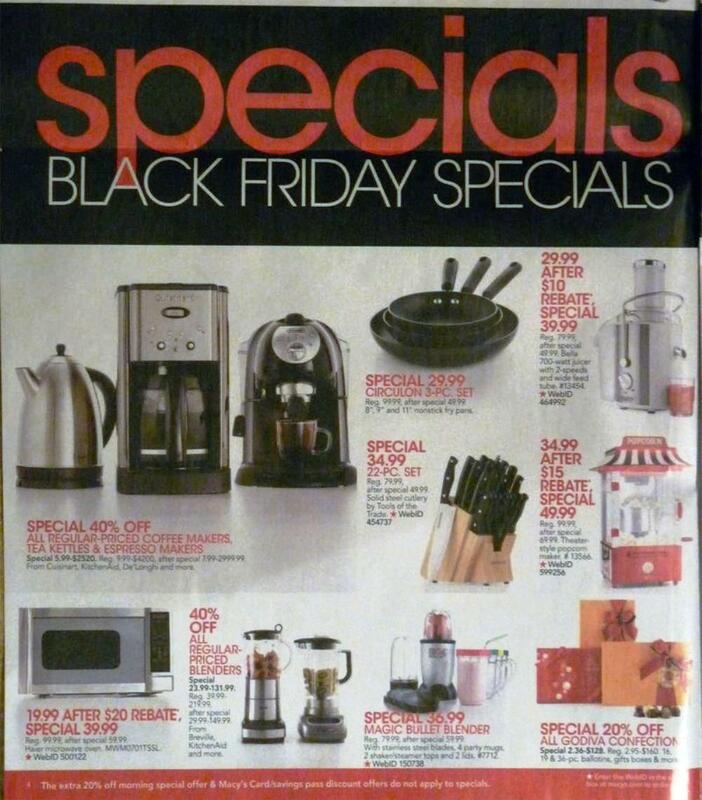 We have already seen the WalMart Black Friday 2011 ad, the Best Buy Black Friday 2011 ad, the Target Black Friday 2011 ad, Kmart Black Friday 2011 ad, and even the BJs Black Friday 2011 ad. 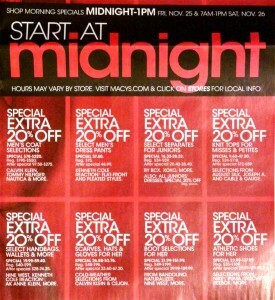 Macy’s has to be the leader in having great sales that only last for one day, and even having “pre-sale” events to go along with them! 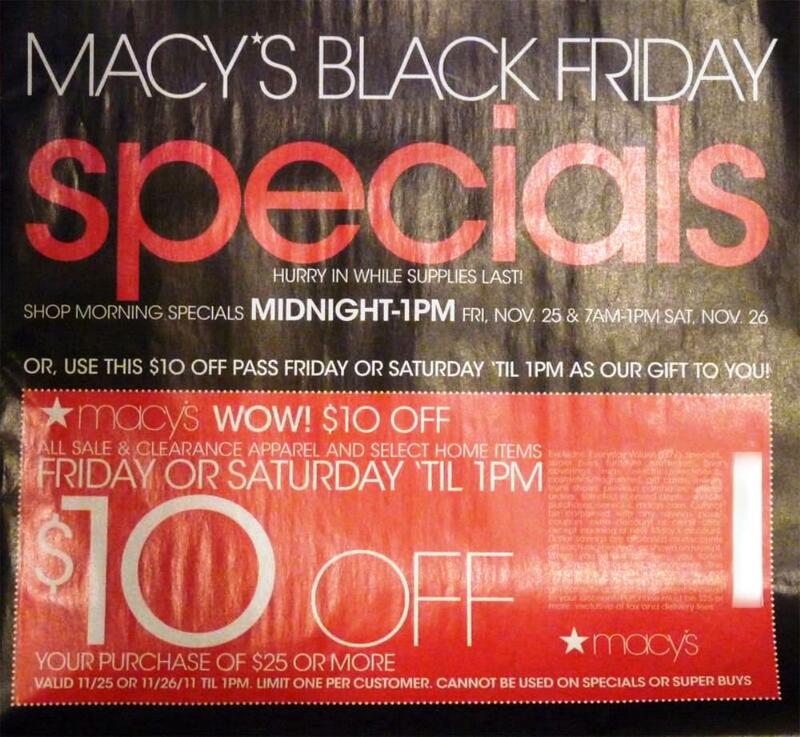 It seems like they aren’t disappointing in this area for Black Friday, either. 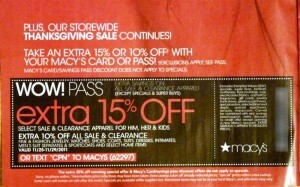 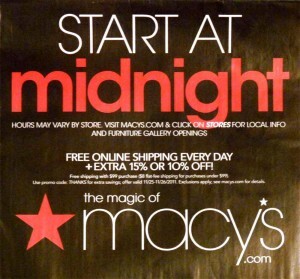 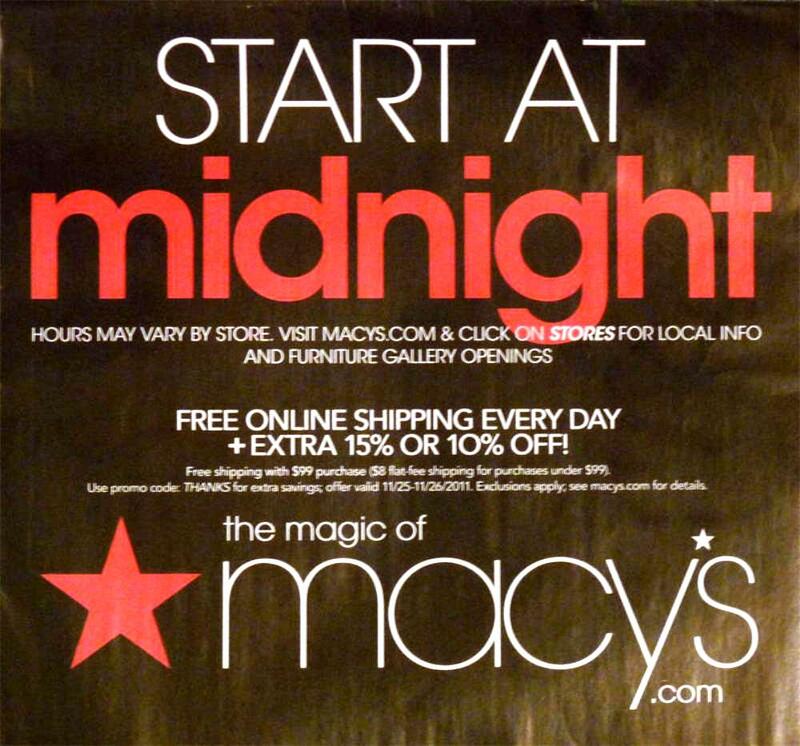 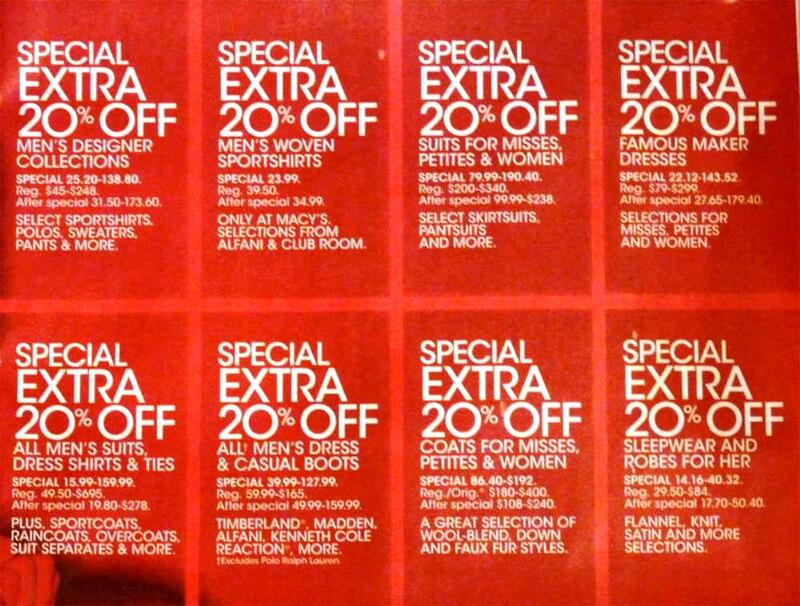 Unlike most ads, the Macy’s circular includes a number of useful coupons. 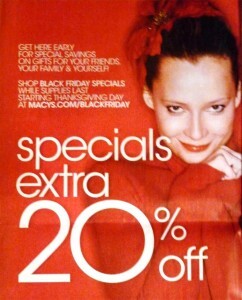 They are also giving you great deals on jewelry, bedding, luggage, dress clothing as well as casual, and small appliances. 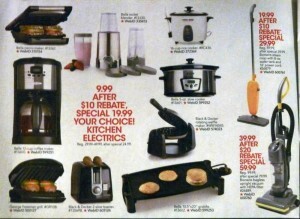 If you are looking for any of those items, then this may be too good for you to pass up – especially when you start piling on coupons! 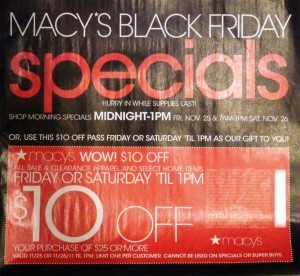 Because the Macy’s Black Friday 2011 ad scan is 32 pages long, I have decided to put it on 4 pages (be sure to look at all of the pages). Just click on a photo in order to enlarge it. 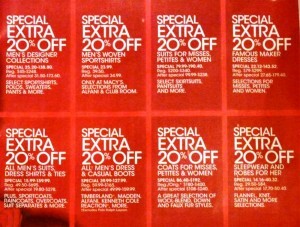 Alright, enough talking, let’s look at some deals! 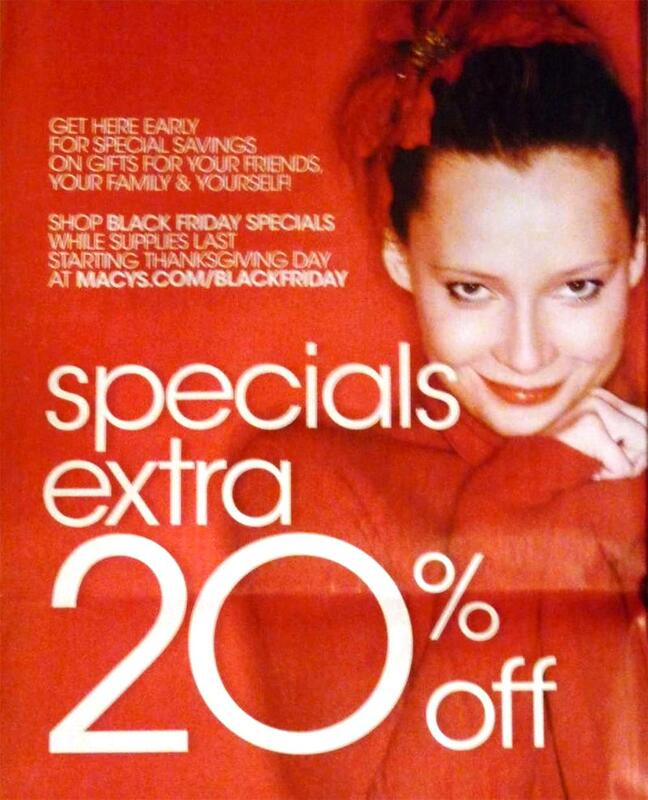 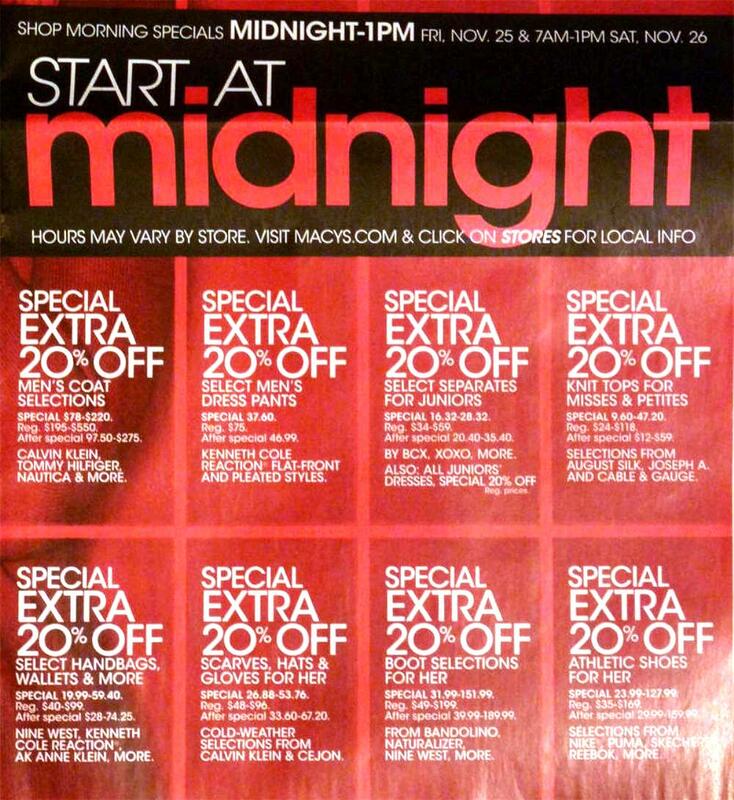 This is page 1 of the Macy’s Black Friday ad scan…be sure to check out pages 2-4!